Looking for headphones that offer comfortable design and impressive sound quality? In our previous posts, we mentioned headphones priced at under 200 and 100. You’re probably thinking you need to shell out a good amount of cash for a good pair. You don’t have to, really. Did you know there are amazing headphones available in the market today that are affordable? Great sound, great design, great price. Check out our top picks for the best headphones for under 50. Looking for a good pair for headphones that you can wear during your workouts? 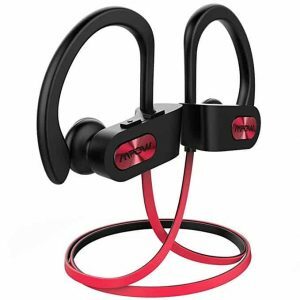 The Mpow Bluetooth Headphones offers functionality and convenience that athletes and exercise enthusiasts will enjoy. This pair has Bluetooth and wireless capabilities, having a battery life of nine hours. Are you training for a marathon? Or need headphones while you pump iron in the gym? This water-resistant set blocks out rain and perspiration. What’s more, it fits snugly in your ears. Need a good set that offers impressive sound output? 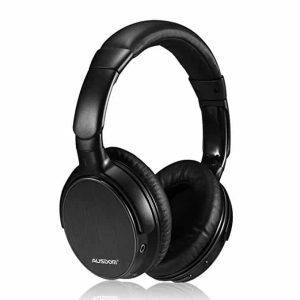 The Ausdom Wireless Headphones delivers high-fidelity sound quality at a very friendly price. It has an over-ear design, has Bluetooth and wireless capabilities, and gives out incredible bass and treble quality. What’s more, it has a battery life of up to 20 hours. If we’re talking wireless, Skullcandy Uproar is the first thing that comes to our head. Skullcandy, of course, is known for its budget-friendly headphones. This model is one of the most affordable. Balanced sound quality? Check. Boosted bass? Check. Long battery life? Check. 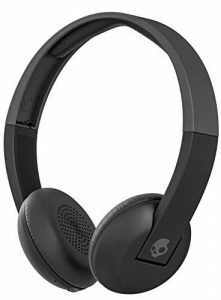 Skullcandy Uproar is one of the best headphones for under 50. A good pair of noise-canceling headphones usually carry a hefty price tag. 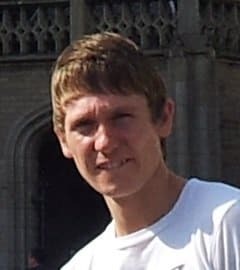 But not this one. 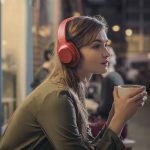 It’s one of our top picks for the best headphones for under 50 that provides impressive noise-canceling capabilities. The TaoTronics Active Noise-Cancelling Headphones are made of aluminum alloy. Their good for easy and convenient listening. Whether you’re tapping to your music or switching to podcasts, these headphones do a better-than-average job than most sets at a more affordable price. This one’s our favorite of the bunch. It has a premium look and feels. It’s great for studio use. And it has a comprehensive feature set. The Monoprice Premium Over-Ear Professional Headphones offers a full range of sound. It’s high-fidelity and has boosted bass. Aside from its impressive sound quality, this pair also offers excellent comfort. With its cushioned ear cups, putting them on won’t feel like your ears are clamped. And is it portable? Check! They’re collapsible, weighing only about half a pound. Are you looking to buy a good pair of headphones? One that has awesome sound quality and powerful bass. Like a true blue audiophile, you’ll probably want the zero-sound-leakage, noise-canceling type that offers the full aural experience. And for your comfort, which is ideal during prolonged use, may we recommended padded earcups that clamp on your ears and cause inflammation? With all these features, you’re probably thinking a good pair of headphones will burn a hole through your pocket. Well, not necessarily. There are plenty of high-end headphones that don’t carry a hefty price tag. In our previous posts, we listed the best headphones for under 200. And if you don’t have that kind of budget, we also offered our selection of the most value-for-money headphones for under 100. If this is a first-time in a long while that you’ve toe-dipped into the market for headphones, worry not. We’ll help you find the best headphones that fit your budget. For this article, we put together the best headphones for under 50. After all, you don’t have to shell out a huge amount for a little piece aural happiness. If you ask us, the best headphones are those that are inexpensive. If you happen to break or lose them, no worries. It’s OK. They didn’t cost a fortune anyway. Which is why we advocate on getting the least expensive gadgets. But going for the affordable stuff doesn’t mean sacrificing quality. There are quite a number of headphones that offer excellent sound output, exceptional comfort, and overall impressive quality. If you’re looking to invest in a good pair, we offer these simple tips on how to pick the ideal headset for you. There are two general forms of headphones: earbuds and ear pads. Which one should you go for? If you ask us, we don’t have a specific preference. Perhaps it goes with what we feel like using on a particular day. If we need to go for a run outside or lift weights at the gym, we’d say go for earbuds. On the other hand, if you want to close yourself off from external distractions, the full headphones with earpads should do the trick. This is ideal when you need to focus on your work with only your music to keep you company. It’s also ideal when you want to watch a movie on your computer. Also known as in-ear headphones, earbuds are tiny devices that you position in the bowls of your ears. Some go into the ear canal; others fairly deeply further. Its benefits include portability and convenience, especially when you’re on-the-go. The disadvantage, however, is you won’t get the same sound quality that over-ear headphones offer. There’s also the issue of comfort and ergonomics; earbuds can easily fall out of the ears. Even before iPods were highly sought-after, ear pad headphones are already popular. They have the qualities that make them the go-to type for many audiophiles. Positioned on the outside of the ears, these headphones create a sound-proofing effect that closes you off from external noise. This means you can hear more of your audio and less of the outside sound. Among the advantages of using ear pads are good sound quality and improved comfort. Unlike the earbuds, these headphones won’t easily fall off. Which is especially nice when you’re exercising. The downside: there are ear pads that don’t completely cover the ears. So there’s a big chance of sound leakage. They can also be pretty big, which some people might find as a turn-off. Others complain of clamping pressure on the ears.